Tiffani Scott, DNP, MSN, CPNP, is a board Certified Pediatric Nurse Practitioner with a Doctorate in Nursing. She received her doctorate from Maryville University and her Masters Degree with honors in Nursing from the University of Texas at Austin. She is a member of the Sigma Theta Tau honor society of nursing. She has years of experience including labor and delivery at North Austin Medical Center and pediatrics in a private care setting. Tiffani has a wealth of experience ranging from newborns to adolescents including well child exams, sports physicals, treating illnesses and managing chronic illnesses. Tiffani lives in Liberty Hill and is very involved in the community. Her husband coaches youth football, baseball and basketball. She not only has the professional experience with pediatrics but is also a mother of two children, Jaxson & Landri. Tiffani has both personal and professional experience in breastfeeding and caring for children. 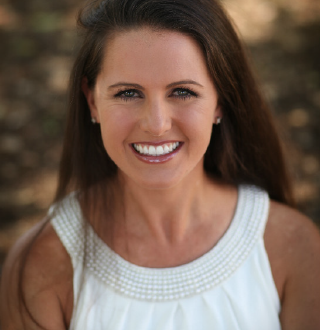 Additionally, Tiffani is a preceptor for the masters prepared pediatric nurse practitioner program at the University of Texas, Texas A&M and Texas Tech. A Pediatric Nurse practitioner is a masters prepared provider with prescriptive authority. Tiffani is certified by the National Certification Board of Pediatric Nurse Practitioners and Nurses. She is a Fellow of the National Association of Pediatric Nurse Practitioners. Tiffani looks forward to providing quality care to your children for years to come.